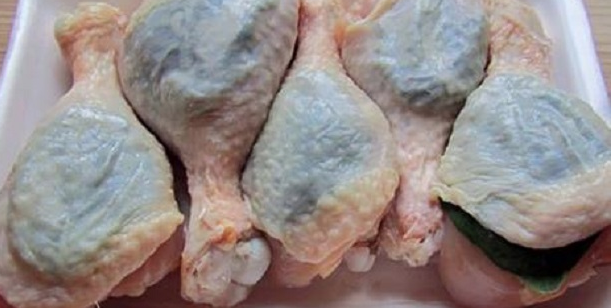 After years of sweeping the issue under the rug, the FDA has now finally admitted thatchicken meat sold in the USA contains arsenic, a cancer-causing toxic chemical that’s fatal in high doses. But the real story is where this arsenic comes from: It’s added to the chicken feed on purpose! As far back as 2006, the IATP’s report Playing Chicken: Avoiding Arsenic in your meat estimated that more than 70 percent of all U.S. chickens raised for meat are fed arsenic. It is added to induce faster weight gain on less feed, and creating the perceived appearance of a healthy color in meat from chickens, turkeys and hogs. Environmental Health Sciences warns that arsenic, along with lead and mercury, are known to produce horrible neurological effects on developing fetuses and young children. Arsenic in general is said to be about four times as poisonous as Mercury. The trivalent Arsenic As+3 is considered 60 times more toxic than the pentavalent As +5.